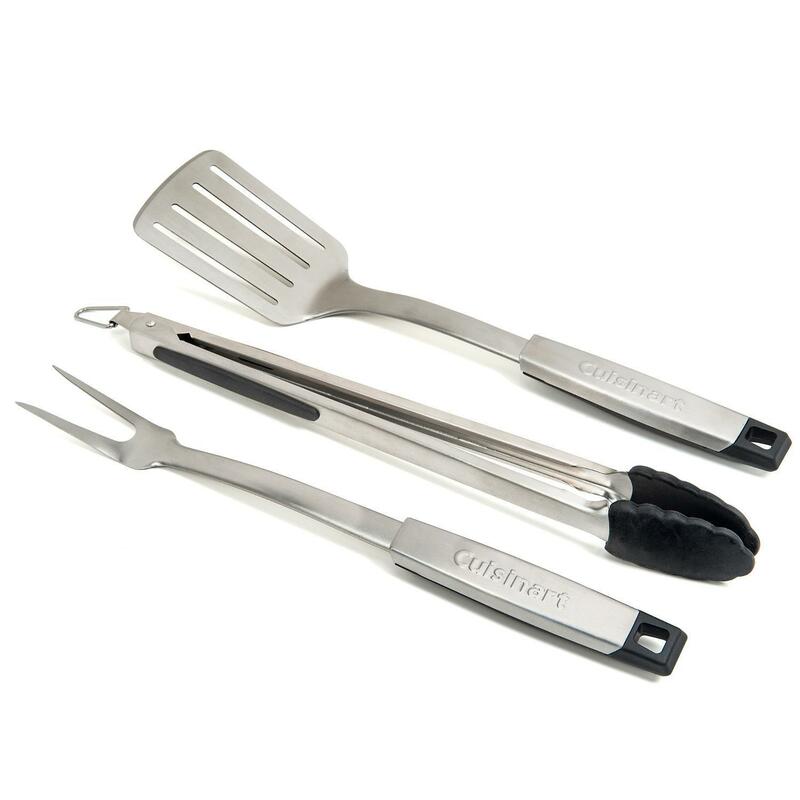 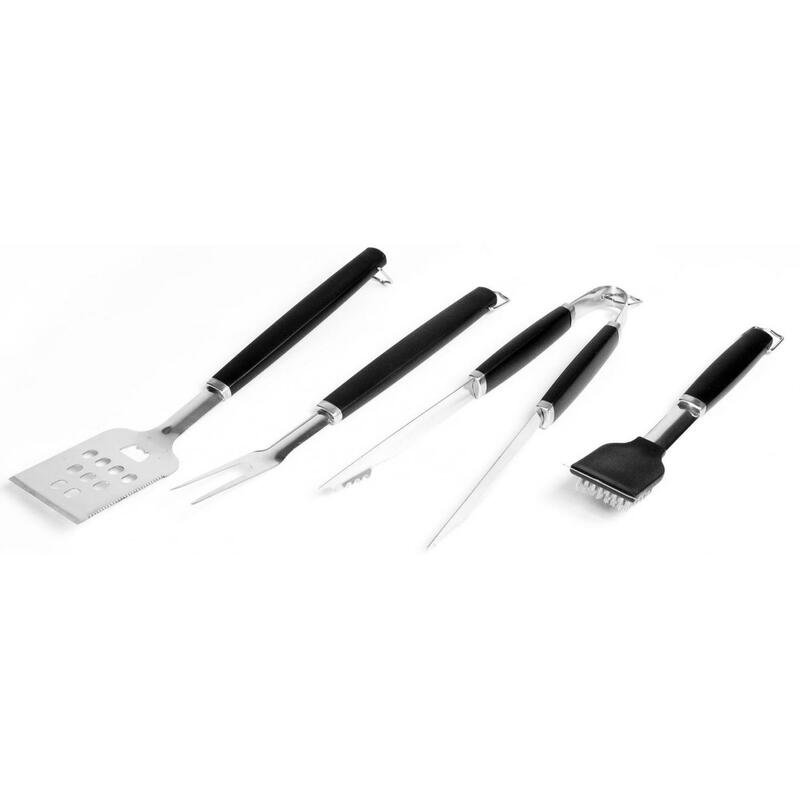 Product Description: Broil King Imperial 4-Piece Stainless Steel BBQ Tool Set. 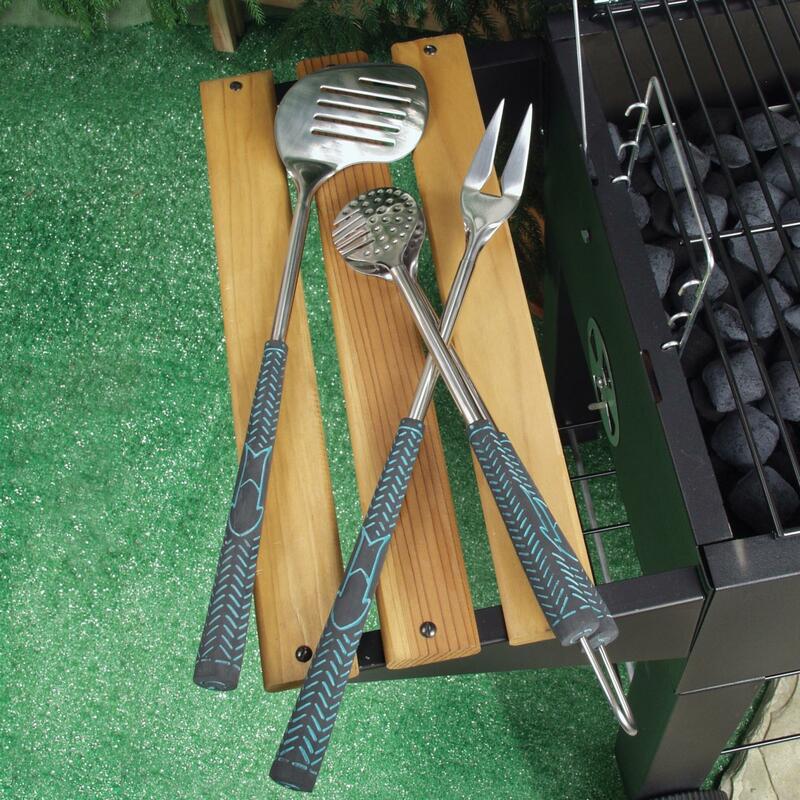 The Broil King Imperial four piece BBQ tool set is designed to be durable enough for any type of cookout. 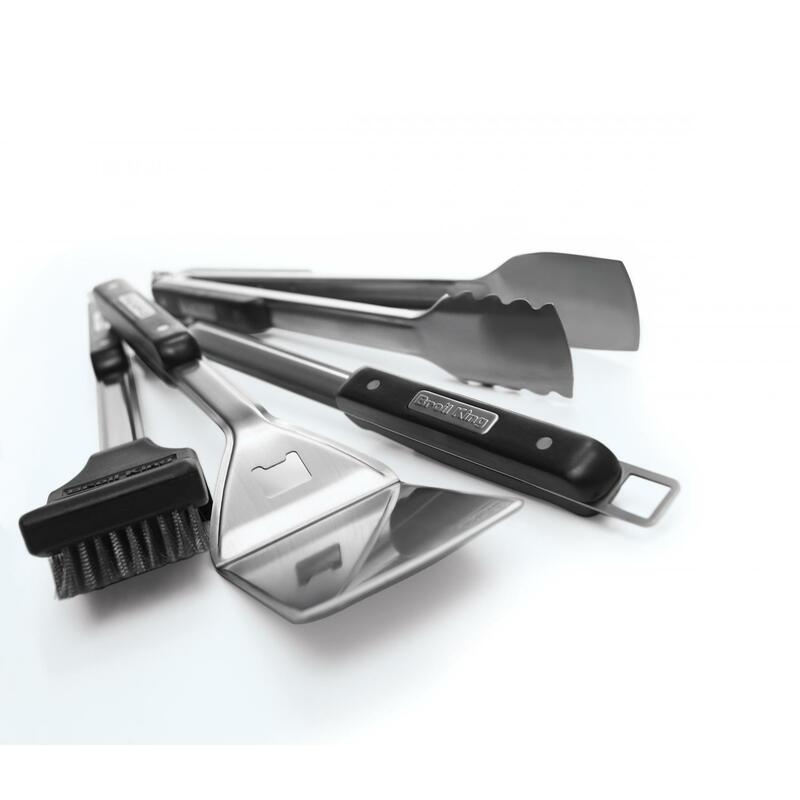 The large, high density resin handles paired with the sleek stainless steel inlays provides an ideal fusion of functionality and durability. 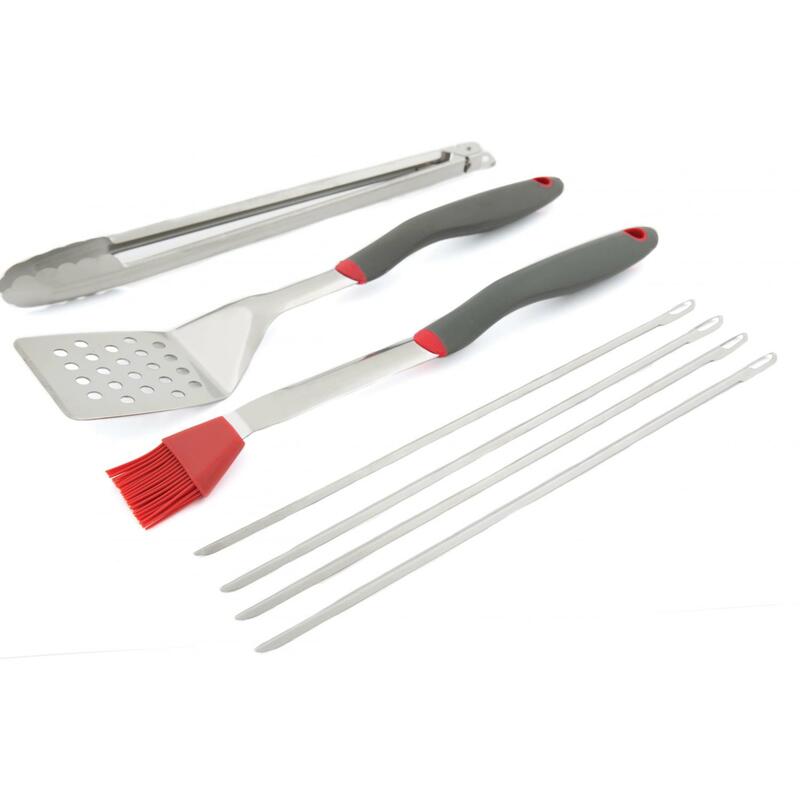 This set includes a turner, locking tong, silicone basting brush and grill brush.